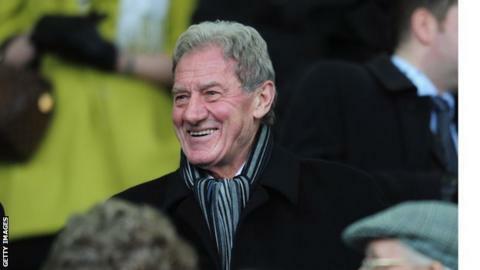 Sheffield Wednesday chairman Milan Mandaric says he has "no interest" in becoming involved with Rangers. The Serbian was responding to reports that he had contacted the Glasgow club's administrators, Duff and Phelps, about a possible takeover. "I can categorically deny there is any substance to these stories and I am disappointed that such articles are printed without foundation," he said. "I have never had any dialogue [with] anyone relating to Rangers." And he added: "Glasgow Rangers is a huge football club with a great heritage and history, but I already have that here at Sheffield Wednesday. The former Portsmouth and Leicester chairman, cleared last week of two counts of tax evasion, was believed to have been one of the un-named parties the administrators said was interested in buying the Scottish Premier League champions. Sir David Murray sold Rangers to Craig Whyte in May last year for £1 with the new owner clearing the £18m debt owed to Lloyds Bank. Since then, Rangers' dispute with HMRC over the use of Employee Benefit Trusts (EBTs) during Murray's reign has meant there is a potential tax liability of £49m hanging over the club. But it was a £9m unpaid tax bill for VAT and PAYE, accrued since Whyte's takeover, that tipped the club into administration on Tuesday and brought a 10-point penalty from the SPL that effectively ends Rangers' title defence. Paul Murray, a Rangers director in recent years, told BBC Scotland on Tuesday that he thought the model of having one owner running the club was unsustainable and that he would consider putting together a consortium to offer an alternative arrangement. "I think there has to be wider ownership to give the club the best chance of moving forward," he said. "This wouldn't be Paul Murray coming forward to buy the club, it would be Paul Murray as one of many stakeholders putting together capital."